Vincenzo Lunardi, Italian aeronaut, 1785. Lunardi made the first hydrogen balloon ascent in Britain, at Moorfields, London, on 15th September 1784. 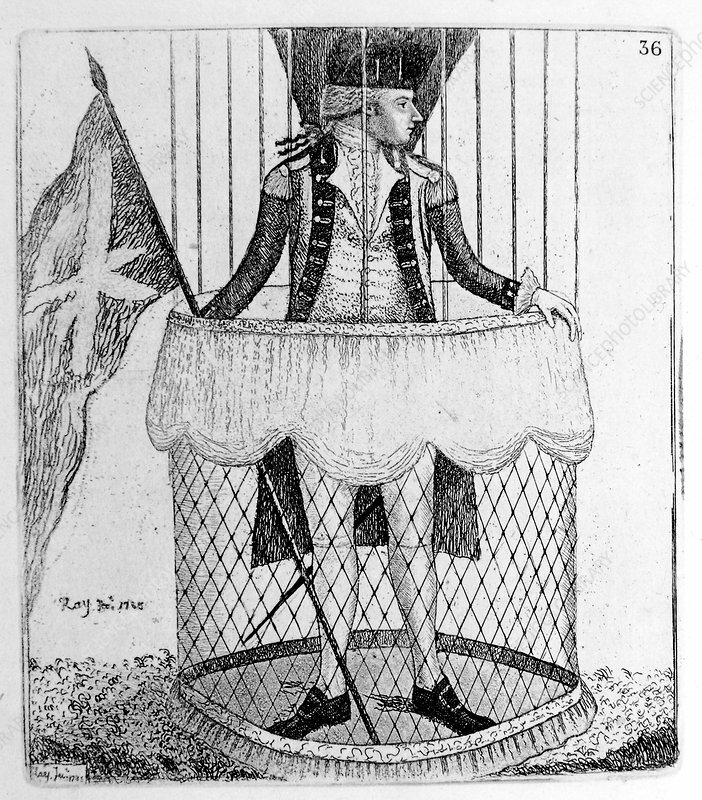 Here he is pictured about to make the first hydrogen balloon ascent in Scotland, which he performed at Heriot's Hospital Green, Edinburgh, on 5th October 1785. Artist: John Kay.